Fabrizio is the founder of Leaders First: an invitation-only membership organisation with the aim to empower, inspire and connect leaders globally. Fabrizio is the Managing Director of Innovation First & Partners, a private office located in Central London. Innovation First & Partners provides tailored business assistance and concierge services to family businesses, SMEs and corporate organizations, business owners, senior executives, high-net-worth individuals, resident non-domiciled and overseas investors. Fabrizio is also an active investor in real estate and innovative start-ups. Prior to the start of his entrepreneurial ventures, Fabrizio held a senior commercial management role at Eni – the oil & gas Italian giant – where he worked on managing complex upstream projects, start-up field management, negotiating with oil-state producing authority and international oil trading & shipping market. He was covering the Norway, Angolan, Russia, Indonesia and Australia market. His professional experience started in 2007 as a strategic advisor to the owner of a leading Italian payment service company with revenues of 1b euro. He helped this company to lead new real estate investment initiatives and the set-up of the private office. 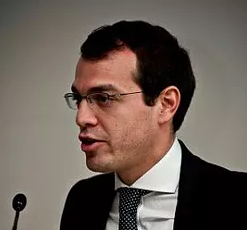 Fabrizio holds a BA in Economics and MSc in International Management from the Bocconi Business School of Milan. While he was a Bocconi student, Fabrizio set up a private organisation reaching in 5 years more than 3.500 associates. The network had the mission to facilitate young graduates to enter the job markets.